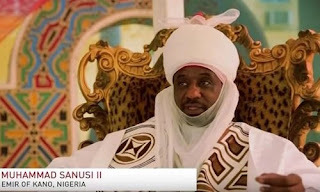 The former Central Bank of Nigeria Governor, and Emir of Kano His Royal Highness Muhammadu Sanusi the second, surprised guests present at the Muson Centre for the launching of the book of Sir Olaniwun Ajayi. “Let us go into this issue because there are so many myths that are being bandied around. Before colonialism, there was nothing like Northern Nigeria, Before the Sokoto Jihad, there was nothing like the Sokoto caliphate. The man from Kano regard himself as bakane. The man from Zaria was bazazzage. The man from Katsina was bakatsine. The kingdoms were at war with each other. They were Hausas, they were Muslims, they were killing each other. “The Yoruba were Ijebu, Owo, Ijesha, Akoko, Egba. When did they become one? When did the North become one? You have the Sokoto Caliphate that brought every person from Adamawa to Sokoto and said it is one kingdom. They now said it was a Muslim North. The British came for 60 years and Sir Ajayi talked about few numbers of graduates in the North (two as at independence). What he did not say was that there was a documented policy of the British when they came that the Northerner should not be educated. It was documented. It was British colonial policy. I have the document. I have published articles on it. That if you educate the Northerner you will produce progressive Muslim intellectuals of the type we have in Egypt and India. So, do not educate them. It was documented. And you say they love us (North) more than the south. “There are good Yoruba people, good Igbo people, good Fulani people, good Nigerians and there are bad people everywhere. That is the truth. “Stop talking about dividing Nigeria because we are not the most populous country in the world. We have all the resources that make it easy to make one united great Nigeria . It is better if we are united than to divide it. “Every time you talk about division, when you restructure, do you know what will happen? In Delta Area, the people in Warri will say Agbor, you don’t have oil. When was the Niger Delta constructed as a political entity? Ten years ago, the Itshekiris were fighting the Urobos. Isn’t that what was happening? Now they have become Niger Delta because they have found oil. After, it will be, if you do not have oil in your village then you cannot share our resources. There are only two major tribes in Nigeria. The Elites and the Masses. Once you make lots of money, you belong to the elite tribe. When you are a commoner or suffering, you belong to the tribe of the masses. If you are an elite, and you need more power, or elective position, you sow seeds of tribalism and religion among the masses, so as to sway their emotion for your personal victory. This happens at both the national and state level. Unfortunately, after the election when they have won and joined their “sworn enemies” to drink and party, the gullible masses continue to fight each other. Even smart people who belong to the masses, sometimes will sow seeds of tribalism and religion among the masses, and then the masses will carry them up until they belong to the elite class. It is a classic strategy used over 3000 years ago in the art of war. A commoner who aspires to sit with the elites, could stir up powerful tribal or religious sentiments, such wave if properly utilized either by shedding blood or destabilizing the elites, carries the commoner to the elite class. But once there, he immediately mingles and makes peace with the elite tribe, and turn his back on the same masses that helped him get there. Think clearly and deeply, and you will realize that empowering yourself is the best course of action, not fighting each other. And once the youths are empowered, they can begin to take back their future from the hands of the old and corrupt generation that has been blinding Nigerians with hatred, while looting all her resources. Sani Abacha’s loot is still stashed away in Switzerland, did he use it to develop the north? Those that stole billions under GEJ stashed it away in foreign banks, bought expensive toys, jets and foreign homes, are they using it to develop the south? Now the ones stealing currently, including the “grasscutters”, are looking for Ikoyi apartments, abandoned houses, and pit toilets to hide it, are they using it for the youths in their tribe? NO! Youths shine your eyes. Don’t always fall for this tribal, religious sentiments over and over again. Nigeria is bigger than these corrupt elites. They are the problem, not the poor masses.